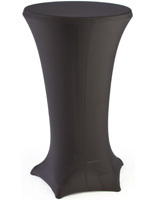 Pedestal design is ideal for cocktail hour receptions. 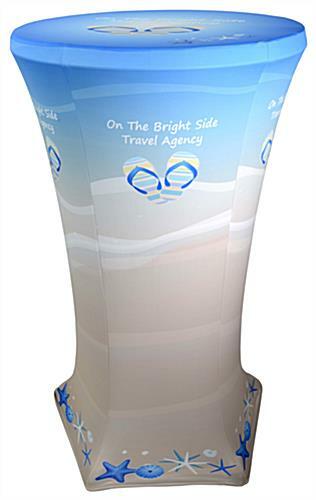 Spandex cover is wrinkle resistant and custom printed in full color for an eye-catching presentation. Portable highboy table knocks down for traveling and storing. Package deal ensures the cover will fit. 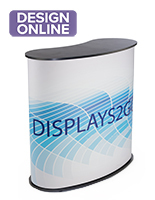 These full color cocktail table covers are great promotional tools for professional events. 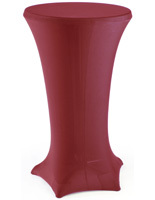 Each promotional throw comes in a set with a 47" high and 27-3/4" round highboy. These bar style booths & cocktail table covers are very eye-catching with the custom printing. This party throw is imprinted using dye sublimation. The printing method used on these cocktail table covers allows customers to be as creative as they choose with the designs. Spandex linens are made to fully hide the bar style booths. 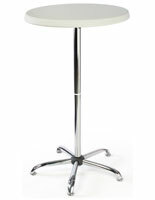 These cocktail table covers that include a highboy are easy to use. The inside bottom of the linens feature (5) pockets. Each pocket of the cocktail table covers fits a foot of the booth. 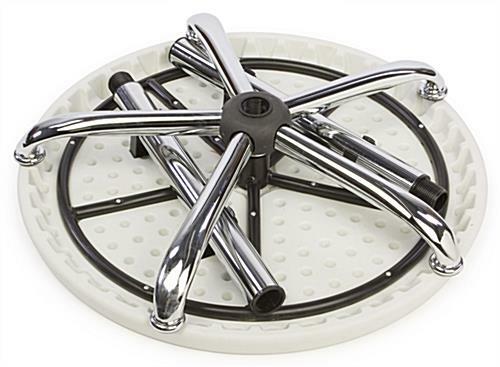 The highboys that come with the party linens are collapsible for easy storage and travel. 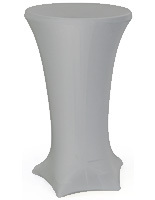 Cocktail table covers that are great for functions are made of spandex which is wrinkle resistant for event use. These coverings are machine washable for re-using at multiple affairs. These cocktail table covers work in any type of setting. Each spandex party linen is custom printed on all sides, including the top. These promotional throws are cocktail table covers that are affordable. The low cost of these booths with linens will work with any budget. 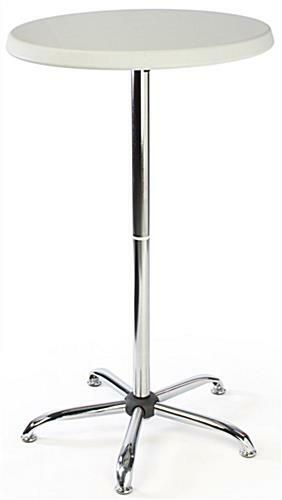 Many customers will purchase these highboy sets in large quantities for use throughout the function hall. Please note: Artwork can be the same image on all (5) sides or a different graphic on each panel.